A carpet texture is not used that often in modern architectural visualization, but if you think of office interior design a plain carpet may come into play. 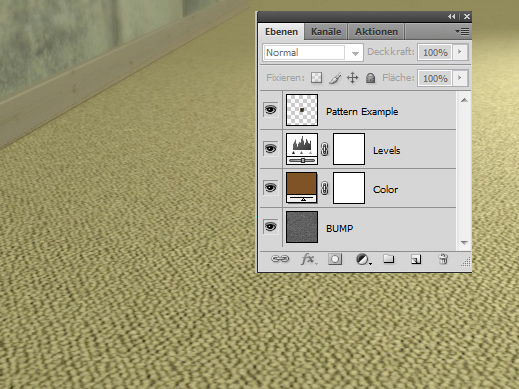 By the help of this free Photoshop Carpet Texture Maker you can easily creat various of carpet types on the fly. The .psd file should give you a start for your own types of variation. 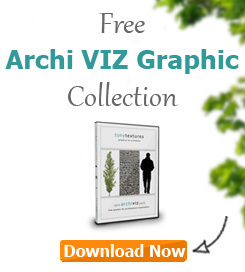 After rendering your architectural visualisation the fine-tuning in Photoshop starts. An everyday work is to place some persons in the rendering to bring life to the scenerey. 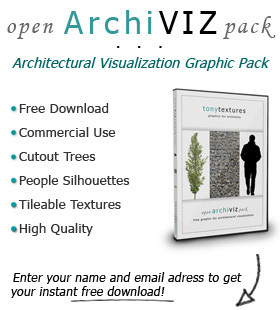 Naturally in every architectural visualisation the sun is shining – thats why you need to create shadows as well. 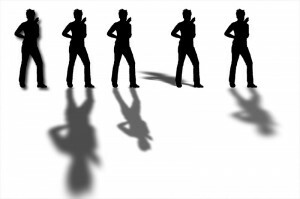 For quickly create some shadows “lokas software” offers a free plug-in.